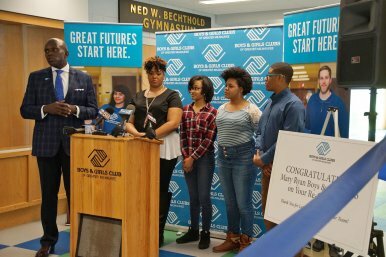 Boys and Girls Club of Greater Milwaukee ($20,000)With support from the Fund for Lake Michigan, the Boys and Girls Club of Greater Milwaukee will hire a consultant to create a green infrastructure plan to improve stormwater management at Sherman Park. Currently, the park’s frequent flooding problems render much of the park unsafe and unusable. These floods have also significantly damaged the Mary Ryan Boys and Girls Club building in the park. By investing in green infrastructure, the Boys and Girls Club aims to ultimately create a safer and more welcoming environment for community gatherings, recreation, and environmental education.